On the first day of class students learn the vocabulary related to inside classroom actions. 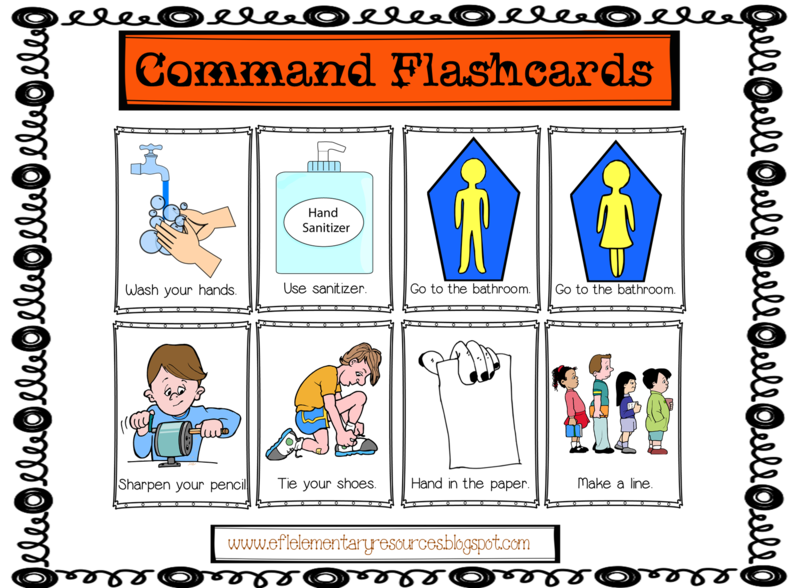 Make it easy for them to understand and respond to the commands. The ability to follow directions requires daily practice. Use the commands in class as often as you can. 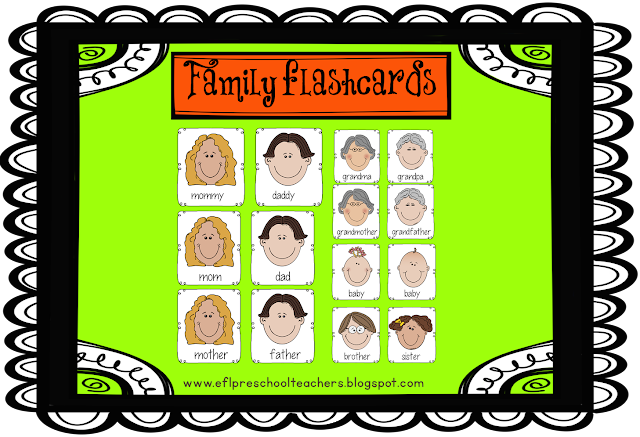 Using the word and picture flashcard will help students focus with all the directions given in English and help you not to translate. 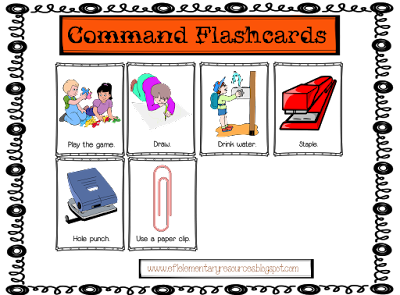 Most of the time students don´t know what to do when you give a command, the visuals guide the students to complete the command. The file contains these flashcards and more. 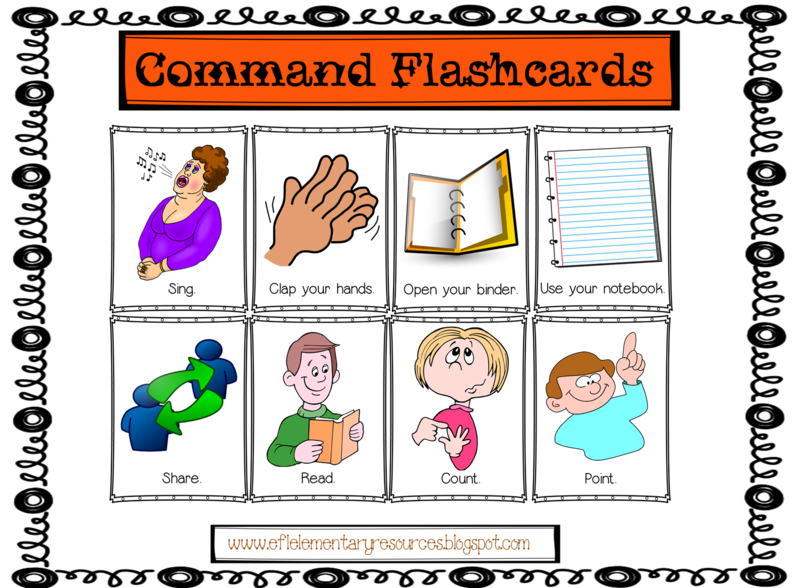 The commands should be clear, specific, and in a positive manner as in the flashcards starting with a verb. I created a set of commands symbols to represent the imperatives (included in the file). 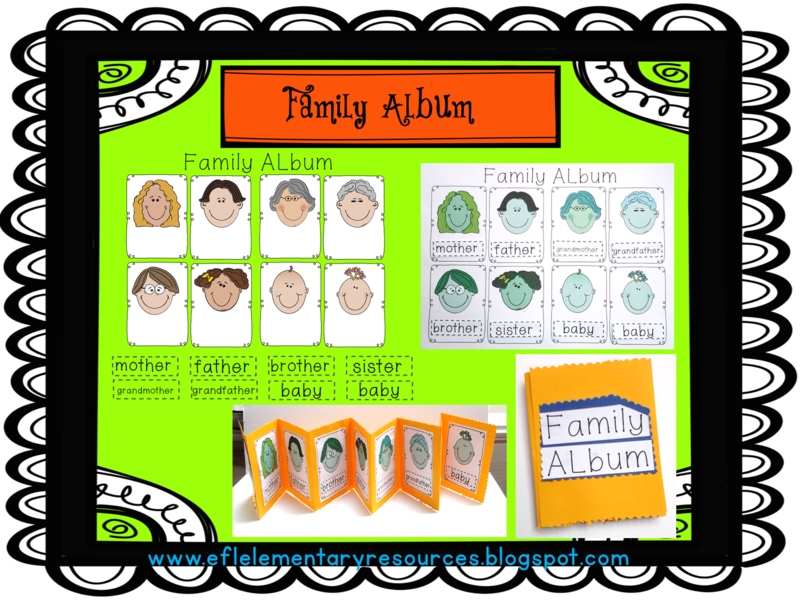 You can also put them on the board when you need them. Give orders by pointing to the symbol card. Don´t use questions in a command, it can be thought as a request, like whether you can do it or not. Teacher: Can you please write your name ? The correct form is: Please, write your name. 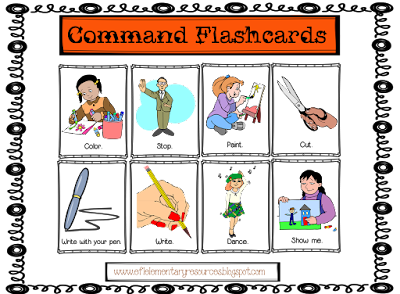 Use short phrases in an imperative form, as your lessons continue, add new words to the command verb. Stand up next to your desk. 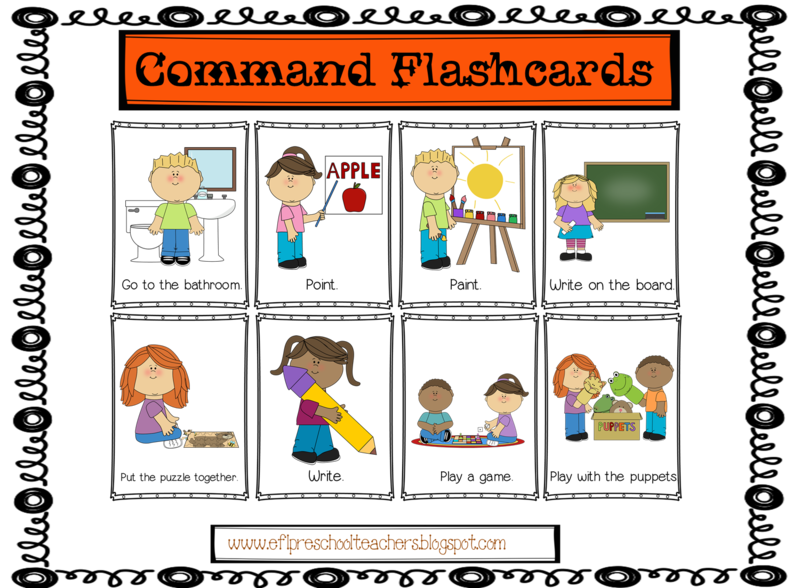 Grab student´s attention before each command. I use shakers or any noisy object , that will indicate the class that an instruction will come. Also, vary the volume and pitch of your voice. 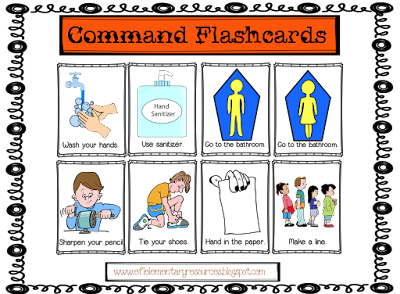 Use gestures and body language. 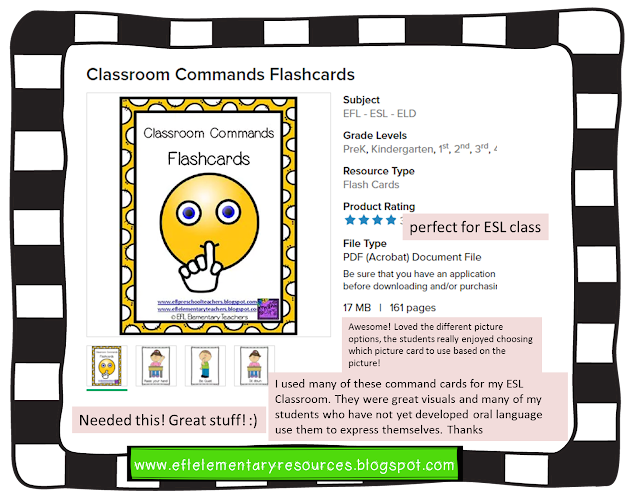 Establish eye contact with the students when giving an order. 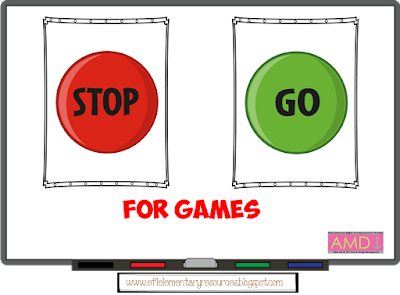 After giving the instruction, take the time to pause, wait, give the students the opportunity to comply, don´t threaten them. Stand close to the students when giving a command. Use some student´s name when giving a command. Be polite and respectful. Teacher: Roberto, be quiet, please. 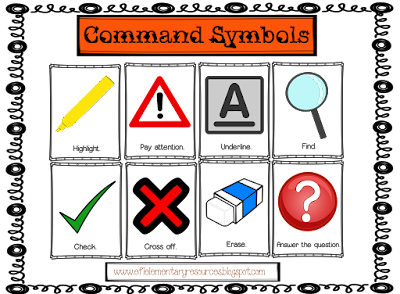 Don´t use commands as criticism. Teacher: Mary, didn´t you listen ? say: Mary, please listen .Touch her ear or show her the listen symbol. 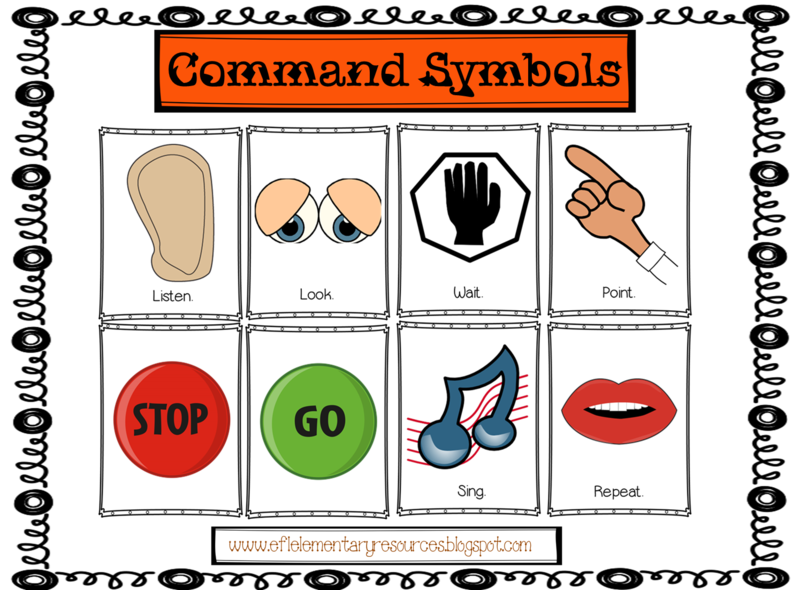 Give the commands one at a time. 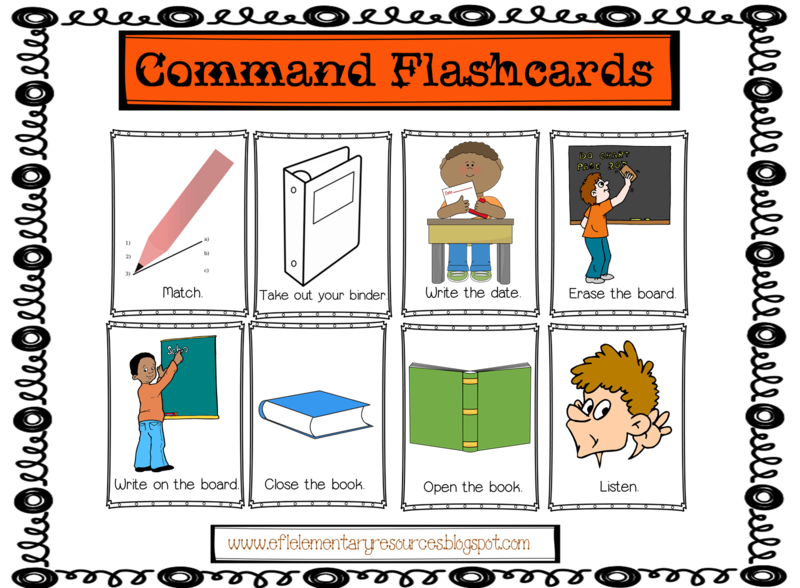 Repeat maybe once, but not a series of 5 times each command. Even more when working with the youngest learners. 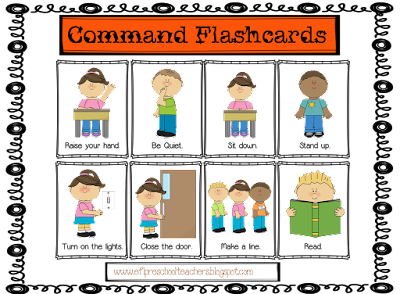 Always praise the students for complying to all the commands. Teacher: Please ,sit down. (pause) Thank you, class. Too many and unnecessary commands are annoying . 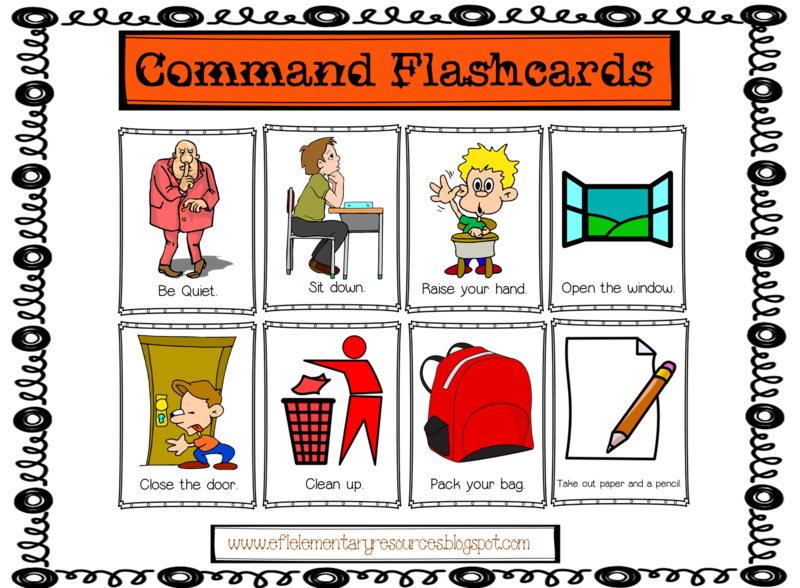 Think if you are giving commands that are not contributing to the lesson. Teacher: Stop coloring. Don´t color. 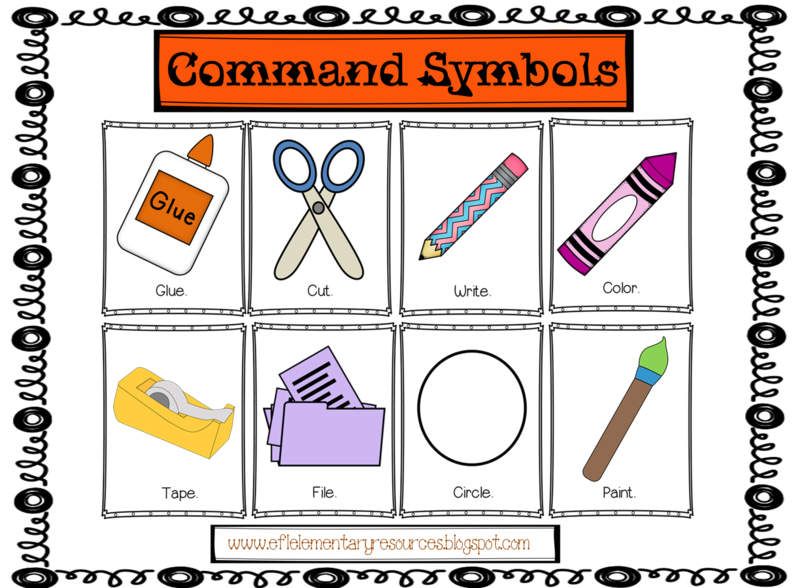 All commands should be positive. The stop sign is mainly for games, and used with the Go sign. 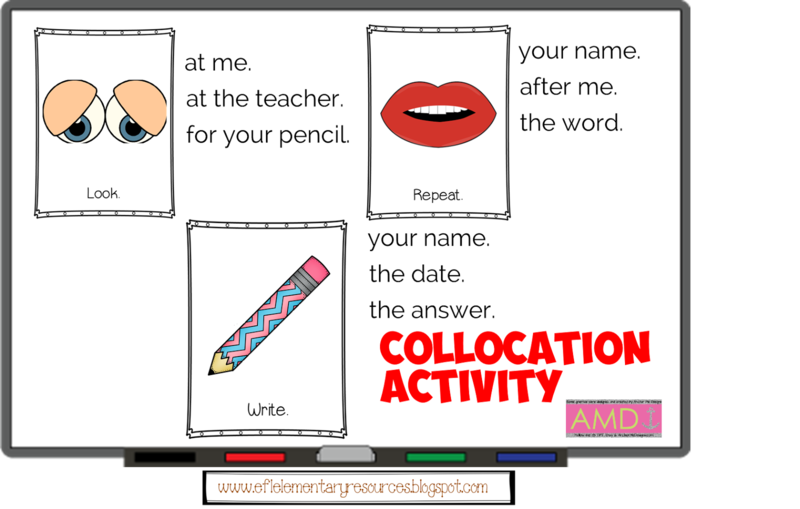 Collocations are words that can work together. It´s a combination of a verb and a noun. 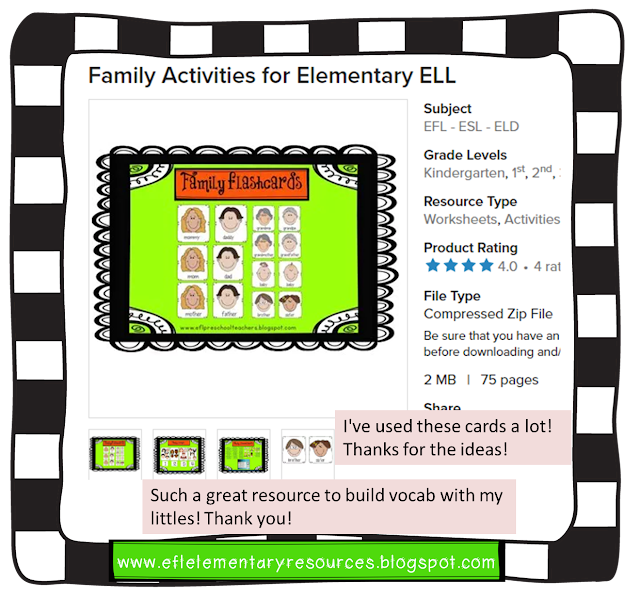 Give examples and have students make more collocations with all the other flashcards. Teacher: Look at the board. Create as many opportunities to talk with all these ideas. 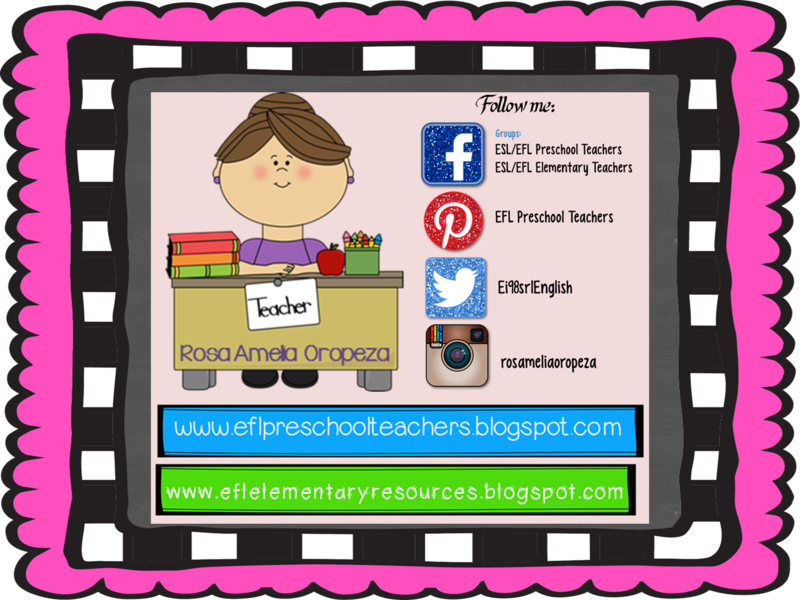 Give correct feedback and encourage student´s learning. Use them to introduce people. Teacher: This is mother. Her name is Ann. 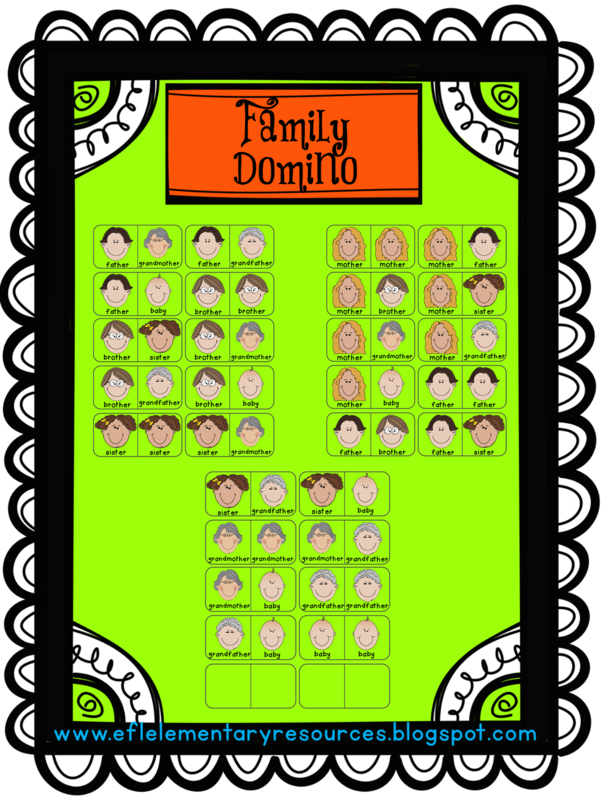 Students: This is mother. Her name is Ann. Students: His name is ____. 2. 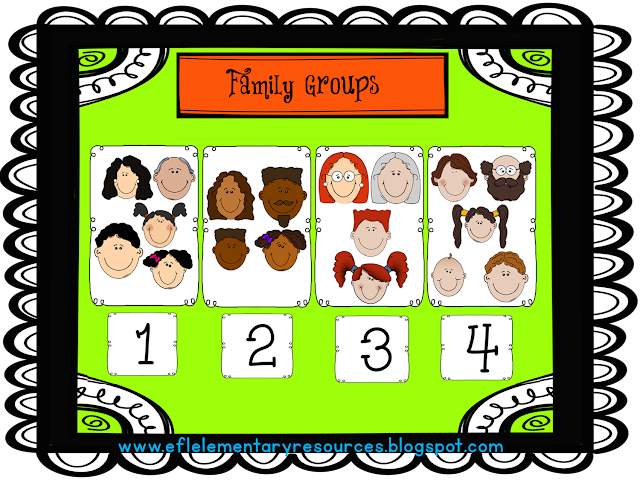 Family Groups: Place the number 1 to 9 on the board and a complete family next or above each number. Describe the family members characteristics and the family members present in each family. 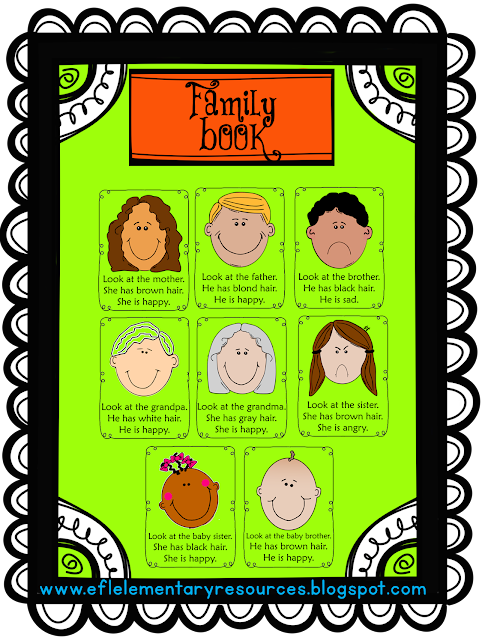 Teacher: This is the Thompson Family. 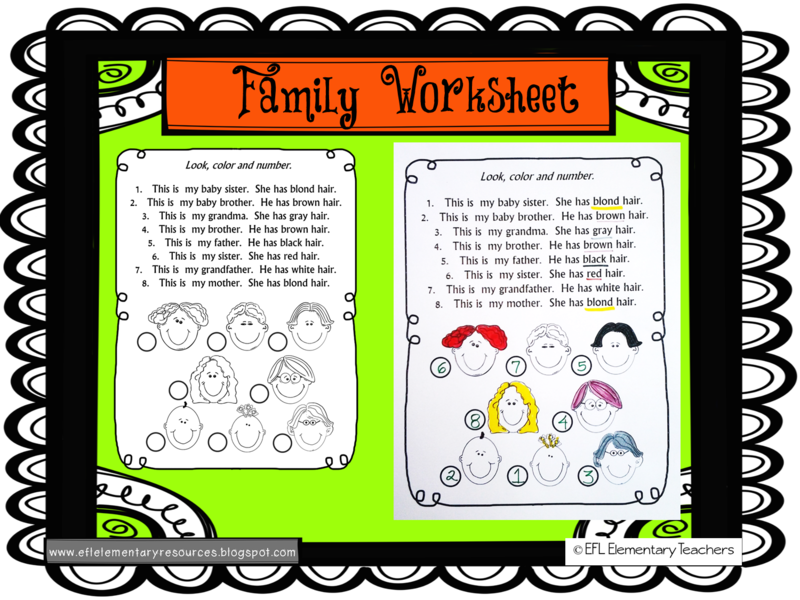 The mother has red hair. The grandma has gray hair. There is a brother and a sister with red hair. 3. Board Game. Divide the class into 2 or more teams. Have the first team player come to the front. Say a family member name and ask them to run to the board and write the word. Give points accordingly. Repeat with all the family members. 4. 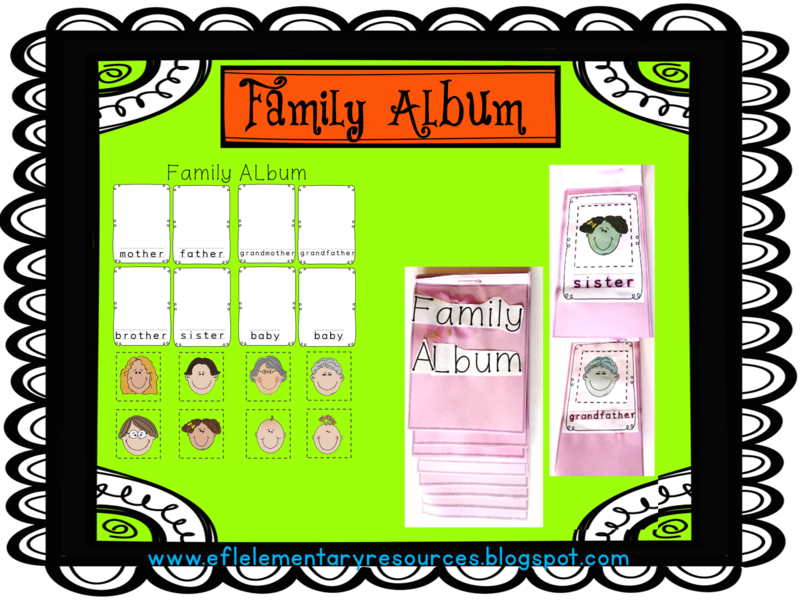 Family Album: have students trace the family words in each album and make an album. a. This template has only the pictures and the words have to be cut and paste in the corresponding place. I made into an accordion book. b. 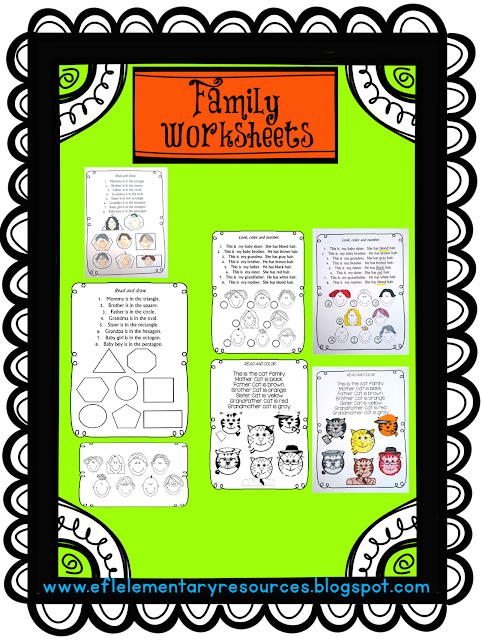 This one is with the vocabulary words ( can be traced), the pictures have to be cut and glued in place. Then, create a step album. The step album is included in the file. 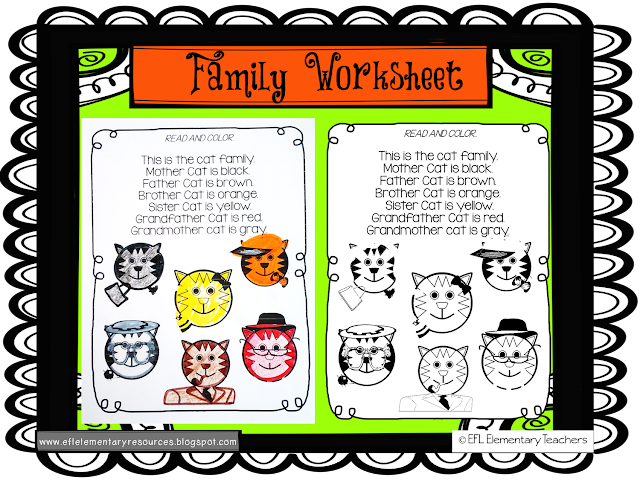 c. The template is with pictures and words in dotted font to be traced. 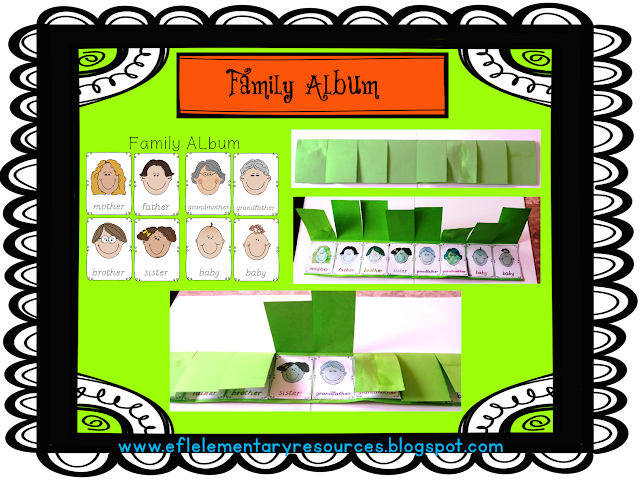 I created an 8 tab fold book. 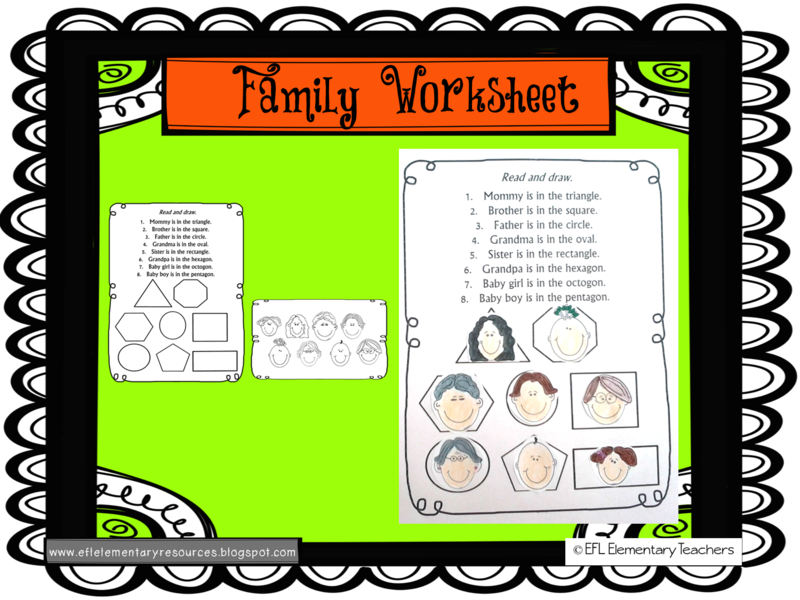 5. family Worksheets: review of shapes, animals, parts of the face . 6. 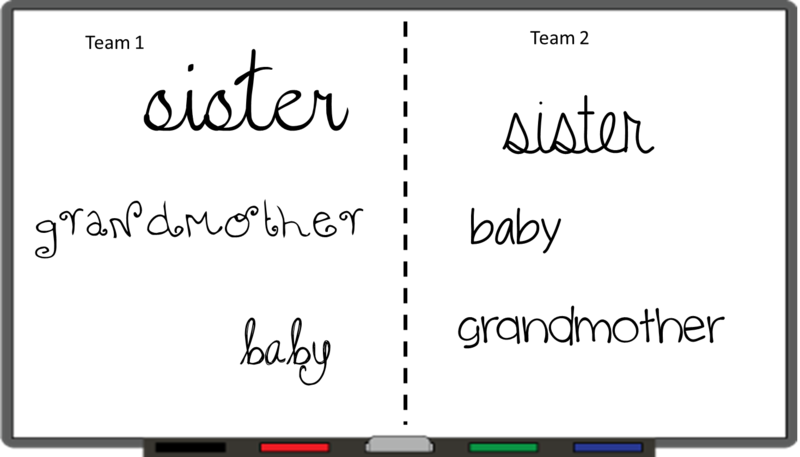 Family write on cards.I made them with 2 different kinds of font. 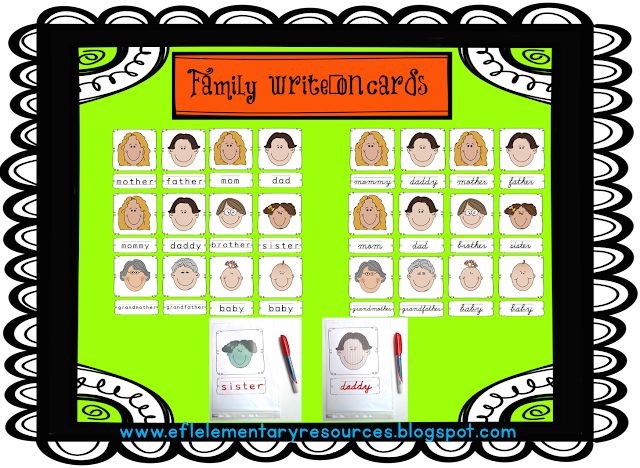 I placed them inside plastic sheet covers and cut them in half and had the children write with dry erase markers, so they can be used again. 7. Book: a short book to have students read by themselves. 8. 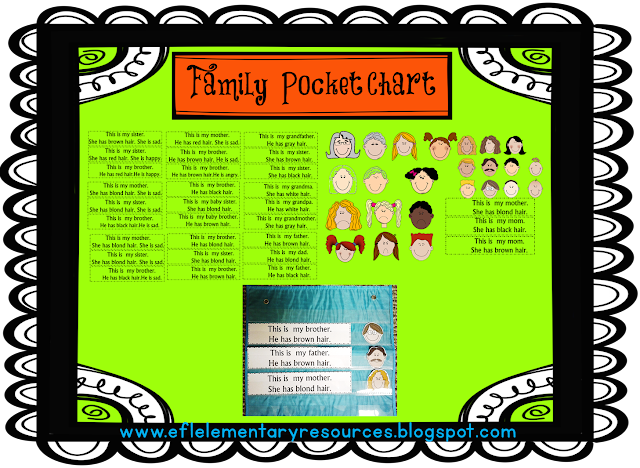 Pocket charts: they can be displayed on the bulletin board, a wall, or shelf, at an appropiate height that can be accesible to the student´s hands. Store the sentence strips in a box or bag. 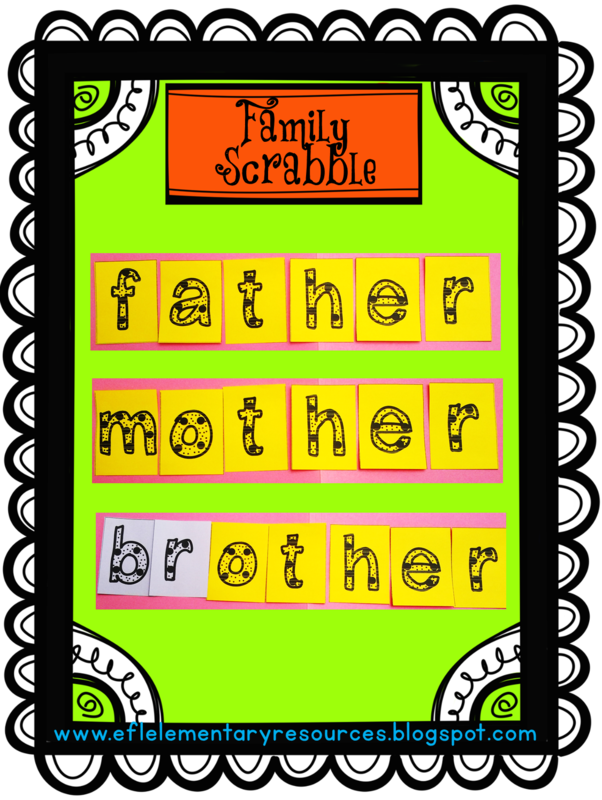 9. Letters: Some letters to create family vocabulary words to review spelling in a fun way. 10. 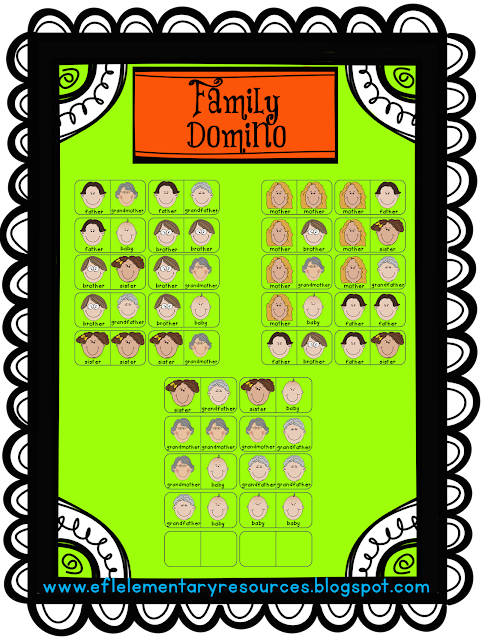 Family Domino: I used pictures and words instead of the black dots. It will reinforce vocabulary. Follow me for updates on more resources!